China’s plan to have nomadic people in Tibet settle down is perceived both as a threat to culture and another attempt to exert tighter control over the country. Tibetan herder Gatou used to live a nomadic life on the grasslands of the Tibetan plateau before he was rehoused under a controversial Chinese government scheme. Now he inhabits one of scores of small brick houses that have sprung up in incongruously neat rows in the rugged and mountainous terrain of the Guoluo Tibetan Autonomous Prefecture in northwest China. "They are giving us houses for free, with electricity," Gatou, who like many Tibetans only goes by one name, told AFP at a prayer festival he has organised for his community, his brown eyes beaming from a dark tanned face. "Most people welcome this. But they are also making people settle down in fixed homes, which does not conform with the traditional lives of herders." China has invested billions of dollars into resettling Tibetan herders, who have for centuries led a nomadic life, moving regularly to seek fresh grazing for their animals. Beijing says the policy is aimed at improving nomads' living standards, creating markets for their livestock and the traditional herbal medicines they gather and curbing rampant environmental degradation on the roof of the world. But while some Tibetans welcome the changes, many worry about the disappearance of a lifestyle that has endured for hundreds of years, and see the resettlements as part of a broader erosion of Tibetan culture in China. Kate Saunders, spokeswoman for the International Campaign for Tibet pressure group, told AFP the policy appeared to be aimed largely at bringing nomadic populations traditionally free of government interference under control. "These policies give the authorities greater administrative control over people's movements and lifestyle," she said. Herders also complain of being forced to sell their livestock, of unfulfilled government promises of jobs, schools and medical facilities, and of corruption in the settlement scheme. "They promised me a job if I sold my herds and settled down," said a former nomad in his 40s who identified himself as Norbu. "But I can only find seasonal work and I can never make enough money to support my family. I feel cheated," he told AFP. The resettlements into exclusively Tibetan neighbourhoods are ostensibly voluntary, but activists say there is plenty of government pressure. Simmering resentments have fed into rising tensions in China's Tibetan-inhabited areas, where anger at Beijing's rule has sparked a series of self-immolations by Tibetan Buddhists over the past year. 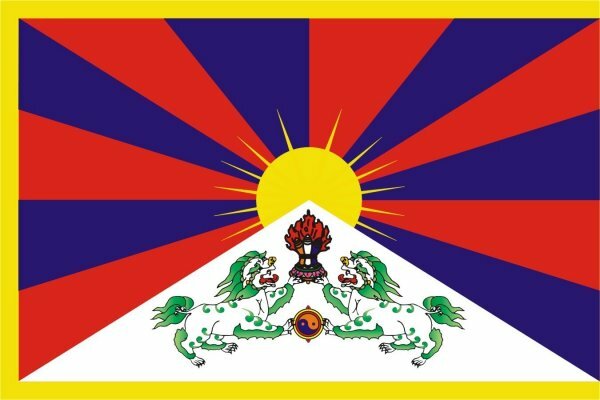 Stephanie Brigden, head of the rights group Free Tibet, has described the policy as "one of the greatest expulsions of a people from their land in history," and said there is no doubt it has fuelled the protests in Tibet. It is hard to know exactly how many Tibetan herders have been resettled. The UN cited recent Chinese reports saying between 50 and 80 per cent of the 2.25 million nomads on the Tibetan plateau were being "progressively relocated." The UN Human Rights Council in January urged China to "suspend the non-voluntary resettlement of nomadic herders from their traditional lands." China should "examine all available options, including recent strategies of sustainable management of marginal pastures," and allow herders more say in how they seek out their livelihoods, it said. The United Nations says the settlement programme covers the Tibetan Autonomous Region and Tibetan-inhabited areas in Qinghai, Sichuan, Yunnan and Gansu provinces, although policies differ widely from one area to another. Gatou said those rehoused herders who have been able to keep their animals and still have access to grasslands were now enjoying better lives, although unemployment was turning some settlements into shanty towns. "Things are changing quickly on the Tibetan plateau," Gatou told AFP as he fiddled with his mobile phone and looked out over a line of cars and motorbikes parked next to a quiet meadow below snow-capped peaks. "Not even a decade ago, most people travelling in those cars would have been on horseback."